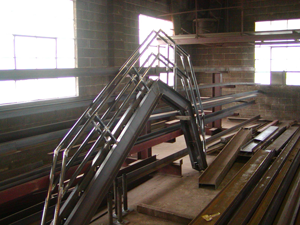 Sanilac Steel can handle all of your steel needs, customizing our services to deliver the steel fabrication or installation that you need in order to make your project a success. We know that we work for you; our goal is to exceed your expectations. We’ve been delivering professional, high-quality structural steel fabrication and installation for more than 50 years, creating ideal outcomes that are completed on time and on budget. Sanilac Steel is here to deliver the safest and most reliable results with integrity and respect. We put the safety of everyone on the site first, and will help to actively check your site for any discrepancies. Our steel contractors can also help to provide a range of personalized support services, relying on decades of experience to ensure the job is done right the first time. Our steel fabrication and erection company in Marlette is available to help clients across Michigan. Call us or contact us online get in touch with the Sanilac Steel team. We can tell you more about our complete steel services or get started on your next project right away!